Here are the News about the completion of the Philippine Arena from some of International news websites and even some local news websites. 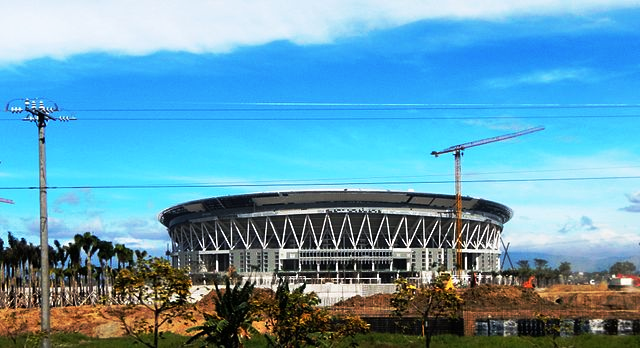 South Korean construction company Hanwha Engineering & Construction has completed the construction of $175m Iglesia ni Cristo-owned Philippine Arena, in Bulacan province near Manila. Touted to be the world's largest domed performance hall, the new arena spans 74,000m² and has 51,000 seats. It boasts of a 35,948m² roof, which is also said to be the largest in the world. Besides construction, Hanwha E&C was also reponsible for designing the arena. In 2011, Hanwha E&C secured the contract and it took 30 months for the full completion of the indoor area. Hanwha E&C president and CEO Lee Keun-po told koreabizwire.com that, "By completion of the largest indoor area in the world, we became highly recognized with our building ability and technical skills in the overseas construction market. "We expect more contracts on civil engineering and construction projects in the Southeast Asian region," Lee added. Manila: A domed hall with a seating capacity of 55,000, and now said to be the world’s largest, was completed after almost three years of construction, in time for the centennial celebration of a non-Catholic church group which is politically influential, sources said. The Philippine Arena of Church of Christ (Iglesia ni Cristo or INC), worth $175 million (P7.65 billion or Dh637.5 million) and built on a 75 hectare property in Bocaue and Sta. Maria, in northern suburban Bulacan, was completed on May 30, way ahead of INC’s 100th year bash on July 27, said Hanwha Engineering and Construction, a South Korean firm. Philippine Arena’s 35,948-square-metre domed roof was built with a high level of structural expertise, said Hanwha. In a show of force, INC has several mega-infrastructure projects done ahead of its centennial year. It now owns EVM Convention Centre and INC Museum on Central Avenue, suburban Quezon City. Inside INC’s Central Office Complex in Quezon City are the Honorata G. Manalo Building, which houses INC’s legal and finance departments and the Pilar Manalo-Danao Multi-Media Centre. INC’s other infrastructure projects include a 20,000-seat Philippine Stadium, and the Philippine Sports Centre. The indoor arena which was completed on May 30 was built on the total area of 74,000 square meters with 51,000 seats and its roof area is scaled to 35,000 square meters, largest in the world. Hanwha won the construction contract in 2011 with its high technical skills after competing with Filipino construction company EEI Corporation and Chinese contractor Jiangsu International. It took 30 months for the full completion of the indoor area worth US$175 million. 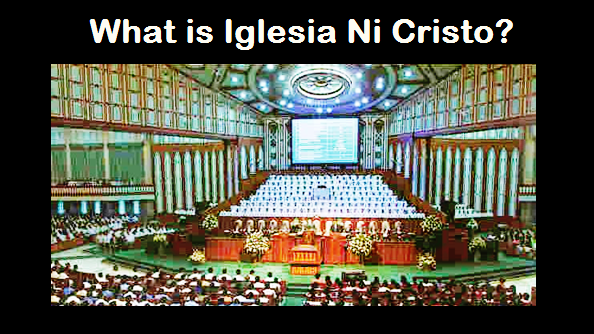 The Iglesia ni Cristo will own the arena in Bulacan, 27 kilometers north of Manila. The maximum capacity of the arena is 55,000 people. According to South Korean media reports, a Hanwha E&C statement posted on its website on June 9 disclosed that the $175-million or about P7.65-billion indoor arena—built on a 74,000-square meter tract of land in Bulacan province—was completed last May 30, or after 30 months of work. Philippine Arena has a seating capacity of 51,000, and boasts of a 35,948-square meter roof, which is also said to be the largest worldwide. Besides construction, Hanwha E&C also took charge of designing the arena. In 2011, Hanwha E&C secured the project after beating Filipino firm EEI Corp. as well as Chinese contractor Jiangsu International, the Korea Economic Daily reported on its website. Established in 1962, Hanwha E&C has become a global engineering and construction firm through its forays in the Americas, Africa, Russia, Saudi Arabia and Southeast Asia, its website said. It is a subsidiary of South Korean conglomerate Hanwha Group, which is also into chemicals, life insurance, industrial machinery and technology systems manufacturing, as well as leisure and food services. Philippine Arena is being prepped to serve as a highlight of the Iglesia ni Cristo’s celebration of its centennial anniversary on July 27. The $175-million or about P7.65-billion indoor arena built on a 74,000-square meter tract of land in the Province of Bulacan was already completed last May 30, 2014, after 30 months of work. The Philippine Arena which is owned by one of the country’s most popular religious denominations, the Iglesia Ni Cristo (INC), has a seating capacity of 51,000, and boasts of 35,948-square meter roof, said to be the largest worldwide. The Hanwa E&C was able secured the construction project of the Philippine Arena after beating Filipino firm EEI Corp., and Chinese contractor Jiangsu International. The Philippine Arena will be the venue of the highly anticipated highlights of the Iglesia Ni Cristo’s celebration of its centennial anniversary this coming July 27, 2014. The multi-purpose indoor arena which was constructed at Ciudad de Victoria, a 75-hectare tourism enterprise zone in Bocaue and Santa Maria Bulacan will be considered as the world’s largest indoor arena once it completed. Aside from Hanwa E&C Construction firm, the architect behind the colossal project is the Kansas City-based global mega-architecture firm, Populous, considered as one of the world’s most prestigious architectural firm. ANGELES CITY - Representative Carmelo “Tarza” Lazatin has filed a resolution congratulating and commending Brother Eduardo Manalo and the Iglesia ni Cristo (INC) for bringing honor and pride to the country through the establishment of the Philippine Arena, the biggest dome of its kind in the world. Lazatin, in his House Resolution No. 1766, said the INC, through its Executive Minister Brother Eduardo Manalo, has put the world’s attention to the Philippines once again through its milestone project – the Philippine Arena. The Philippine Arena, whose groundbreaking was held on August 17, 2011, in Bocaue, Bulacan, will be the biggest indoor dome in the world, with a seating capacity of 50,000 to 70,000 people and an area of 74,000 square meters. Lazatin said the Philippine Arena, in terms of magnitude, could be put in line with the Burj Al-Khalifa and Burj Al-Arab of Dubai, the Petronas Twin Towers in Malaysia, the Taiwan 101 in Taipei, Taiwan and other architectural wonders in the world. “Through the Philippine Arena and all the engineering and architectural marvels that go with it, the country will become an appealing site for business and tourism, helping the economy returns to its glory days,” Lazatin said. The lawmaker also said the Philippine Arena will be a major source of pride and inspiration to more than 90 million Filipinos who desperately need uplifting and motivation during these trying times. For almost a century now, Lazatin said the INC serves as a major spiritual and moral compass in the Philippines, imparting to millions of Filipinos teachings from the Word of God.